Thank you e.p.t™ for sponsoring this post. Share your #MomentOfTruth, and be sure to check out e.p.t™ Family Planning Solutions - they are with you every step of your journey! Ok, so, now that we've shared our announcement and the story of our second pregnancy, let's get down to the nitty gritty, shall we? We all know there is something special about the first pregnancy and that something special is naivete. Thanks to the fact that you mostly have zero clue what's coming for you, a first pregnancy is a sweet journey full of wonder and surprise. The second pregnancy is full of toddler potty training, lots of drive through dinners so your house won't smell like food odors and a whole lot of knowing whats coming. Add in a bump that seems to be doubling in size at an alarming rate, and things can get all kinds of crazy. When I found out I was pregnant with our first born, my husband happened to be out of town for the weekend. I saw that test turn positive in my hands and I knew I just had to do something special to share the news with my now Baby Daddy. I ran to Baby Gap, bought a tiny pair of baby booties and wrapped them up with the previously peed on and now positive e.p.t® home pregnancy test. I went all out, wrapping paper, ribbons, the whole nine yards. And this time? For poor, sweet, already neglected baby number two? Well the story goes a little something like this: after I waited the insanely quick couple of minutes for the e.p.t® results, I took an picture of the positive test and sent it to my husband. While he was at work. My husband's classic response was "are you sure?" and I had the privileged of educating him on the rich 40 year history of the e.p.t® home pregnancy test, which holds the honor of being the original home pregnancy test by the way. Once he was on board with the e.p.t® 99% accuracy rate (after your missed period), he sent me something sweet like "OK, I'll see you at home later." So sentimental! 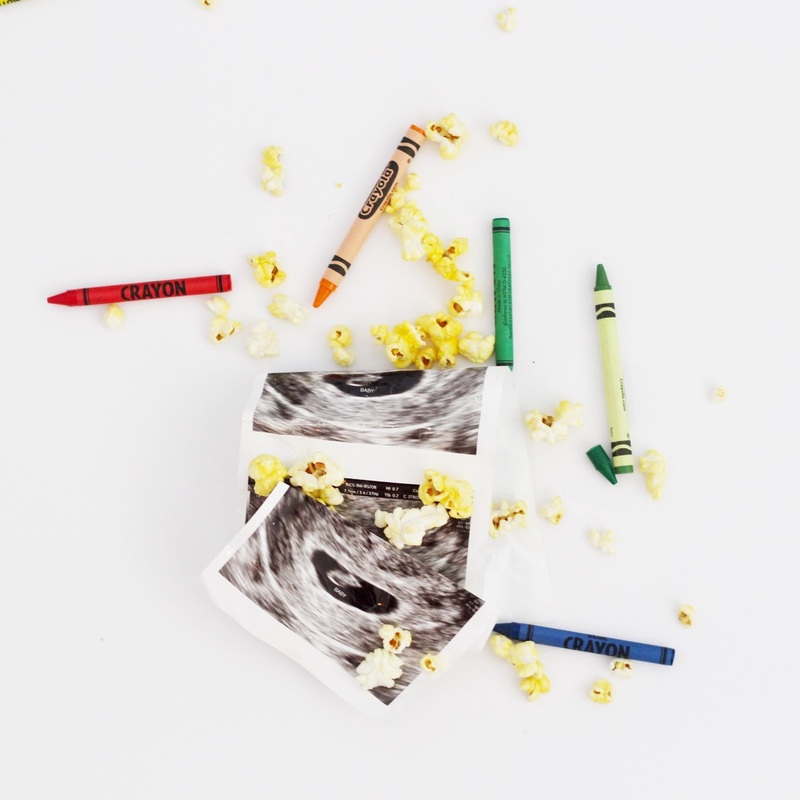 But in all seriousness, seeing that plus sign was a moment of happiness that we fully embraced, knowing that our first trimester would most likely be a rough ride. To have the chance to carry a baby after a loss is something that I will never take lightly and watching that home pregnancy test turn positive will forever be burned into my mind. 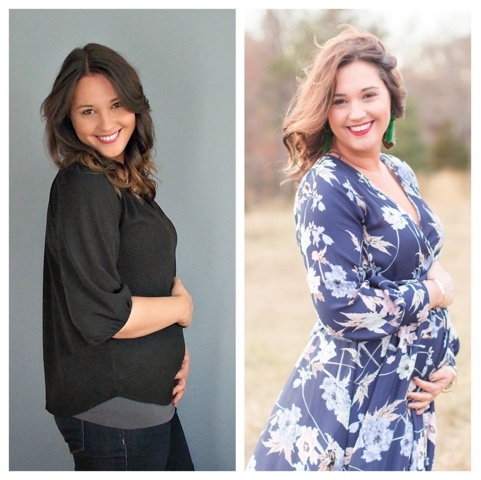 For some reason with my first pregnancy, I wore my lack of maternity clothes as a badge of honor. I would often say "oh, I'm mixing and matching and mostly in regular clothes!". Why? Why did I do this to myself? I'll tell you why: ignorance. Anyone who has ever been pregnant knows there is nothing more comfortable on Earth than full panel yoga pants. Nothing. This time around, I peed on that e.p.t® test, saw a plus sign and shouted from the bathroom "fetch me my full panel leggings!". I started rocking full panel at week 5 and haven't looked back. Oh how I loved my pregnancy apps when I was pregnant with my first child. And yes, apps is plural because I obviously needed to know what size my baby was in various food shapes - one app compares my offspring to fruits, another uses adorable little desert metaphors and a third uses an actual 3D rendering of a fetus in the womb. I would eagerly check each app when I woke up in the morning to see the new thing my unborn had learned overnight - he can smell! He no longer has a tail! I was high on information and loving life. With my second pregnancy I haven't downloaded a single app and am confident that if I need to know what fruit my babe resembles today, I can Google it. During my first pregnancy, if some sweet, unassuming cashier at the grocery store asked me how far along I was, I would eagerly spout out something cool and nonchalant like "I'm 12 weeks, 4 days and 5 hours and the baby is the size of a plum! Or a macaron!". Cue the cashier's glazed over expression and my eye roll at my former self. These days, I have to actually look at a calendar to know how far along I am and truthfully I only know then because I went through at marked the dates from here til D Day. When someone asks me how far along I am now, I usually say something like "not as far as I look!" and keep it moving. By far, the easiest part of being pregnant the first time around is that you don't have another child to care for while you're dealing with morning sickness, smells that smack you in the face or that deep pregnancy exhaustion. I had no idea how good it was the first time. The second pregnancy has seen power naps in the car at pre-school pick up, many calls to the in-laws to please rescue me and take my toddler out to burn energy and many a gag during diaper changes. It hasn't been pretty but we've made it this far. Here's hoping we all make it through the next 28 weeks! YES YES YES - to all of the above! I'm 32 weeks (I think?) with baby two and NO MATERNITY SHIRTS ARE LONG ENOUGH. I don't know how I'm going to survive the next 8 weeks bc lord knows I won't be lucky enough to go into labor on my own! Omg this might be my fav blog you've written! Hilarious but oh so true!!! Congrats again! Oh my gosh, the maternity clothes thing was me to a T the first time around too. I was determined to have the least amount of maternity clothes, which meant really just being uncomfortable for months on end. I have no idea why I did this. 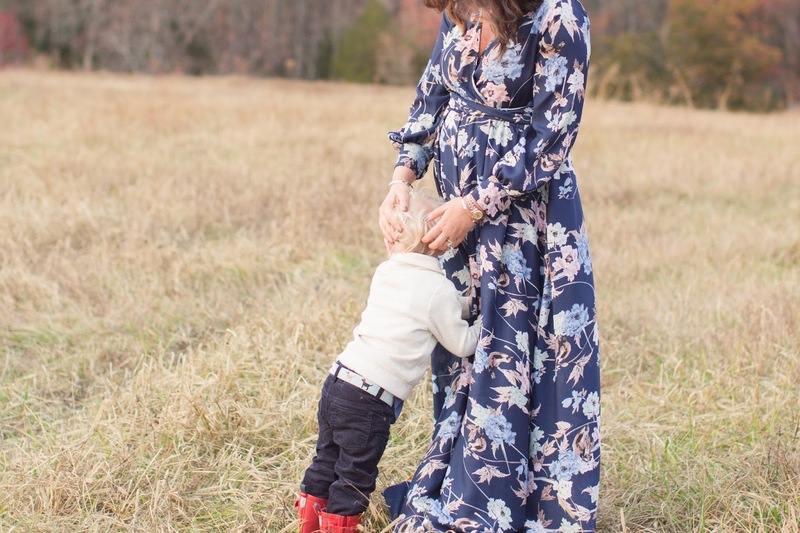 This time around, I whipped out my maternity clothes literally the next day after finding out I was pregnant, and boy did I need them! No shame!